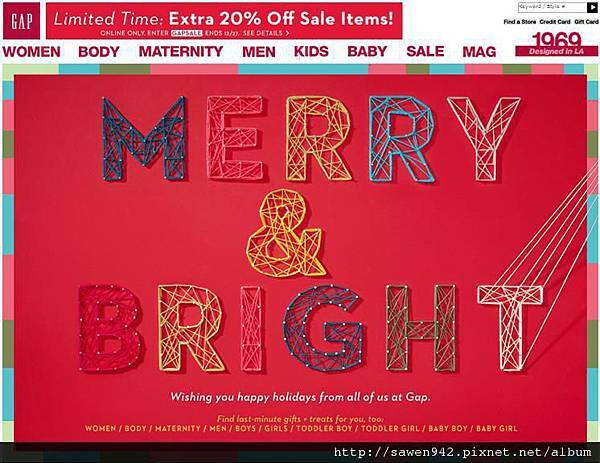 以下商品沒有參加活動喲~Not valid at Gap, Gap Outlet, Gap Generation, or Gap 1969 stores. Not valid on international purchases. Qualifying amount applies to merchandise only, not value of gift cards purchased, packaging, applicable taxes or shipping & handling charges. 2014: Armani Exchange A/X 全館額外5折!!活動開跑!! !